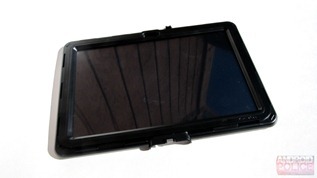 Have you ever been in a situation where you needed a rough-and-rugged case for your Galaxy Tab 10.1? 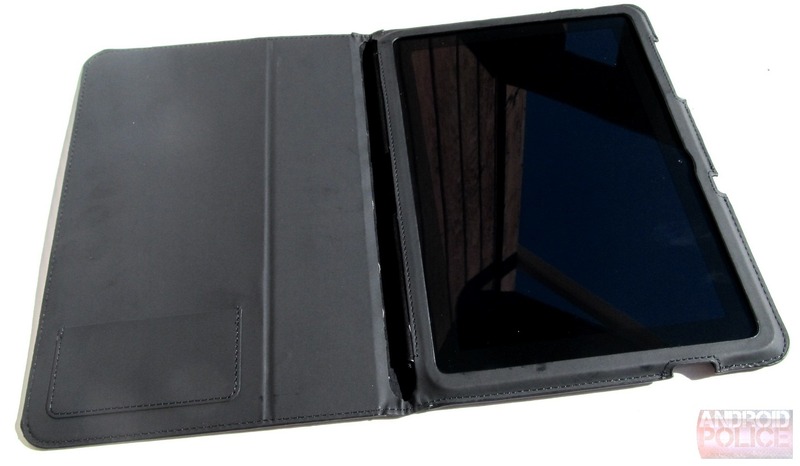 How about a simple, elegant business solution such as a folio case? 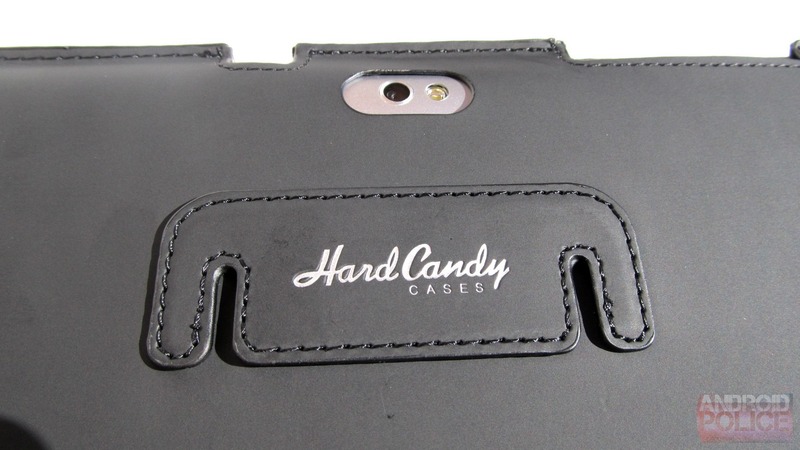 Today we're going to be taking a look at two such cases: The DropTech case from Gumdrop and the Candy Convertible from Gumdrop's sister, Hard Candy. 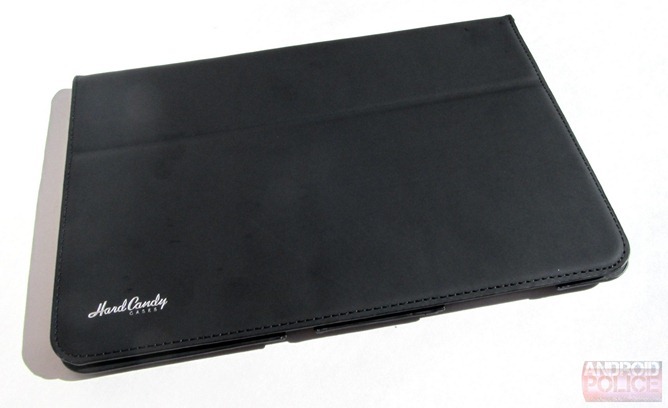 These two cases couldn't be more different; the DropTech is a rough, tough, tank-of-a-case designed to protect your Tab from almost anything, while the Candy Convertible is a very simple folio case that just offers the most basic protection. Without further ado, let's take a closer look at each one and what they have to offer. 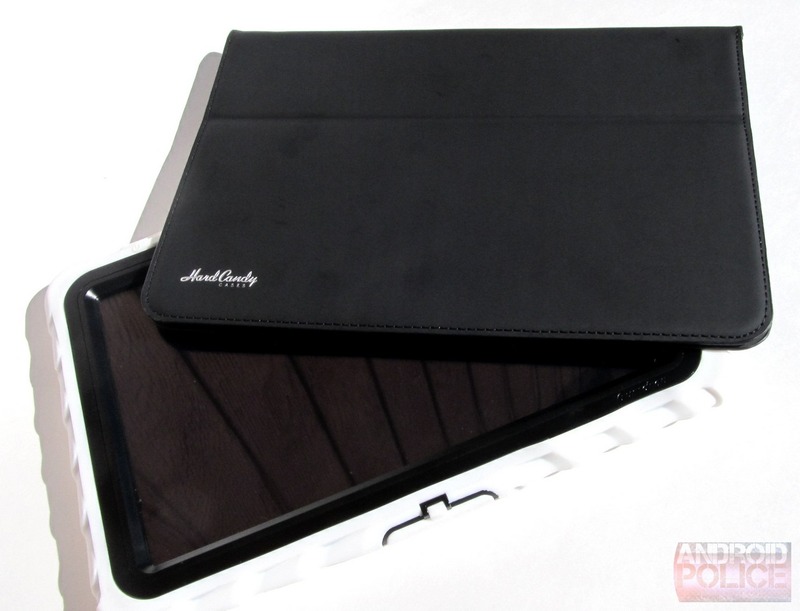 Both of these cases are also available for the ASUS Eee Pad Transformer and iPad 2. This thing is ridiculously protective. I feel like I could throw it down a flight of stairs and my Tab would be fine (though I'm not willing to test that). 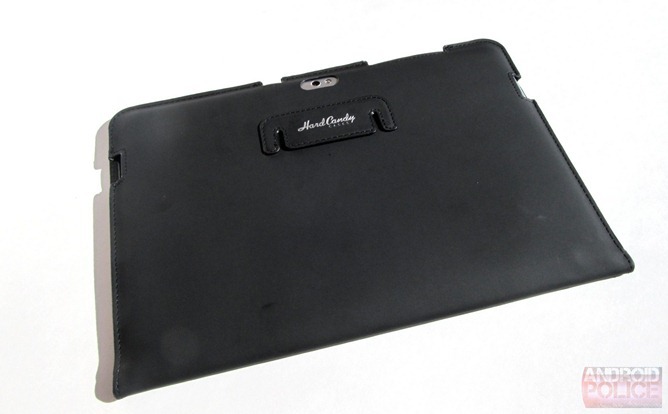 It has a rubberized textured back that allows for easy gripping and minimal slippage. Very protective while still allowing for access to all ports. Comes in five different colors. Very bulky -- it's almost an inch thick. It takes forever to get the Tab in and out of the case. It's not waterproof. 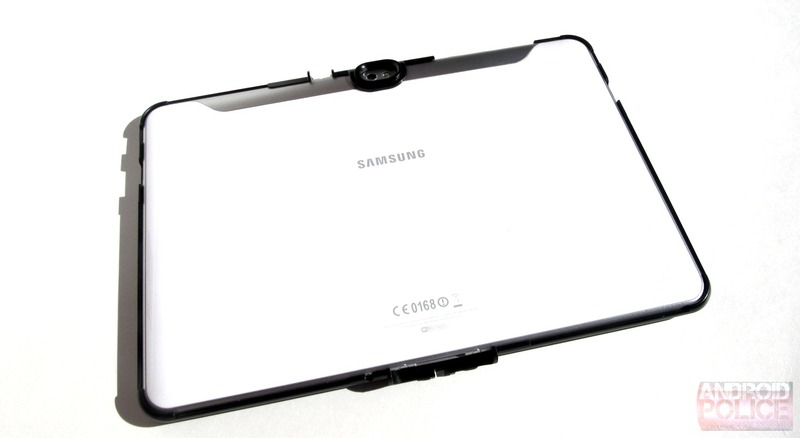 It may be rough and rugged, but if you drop it in water, you can expect that tablet inside will get wet. Makes it nearly impossible to use the Tab with a keyboard or dock. I wish it had a kickstand. A case this big and thick has room to spare - why not throw in something extremely useful? In the Box: The case... that's pretty much all you need. The Bottom Line: If you're looking for a rugged case to keep your precious Tab 10.1 safe, then the Gumdrop DropTech case is an excellent choice. 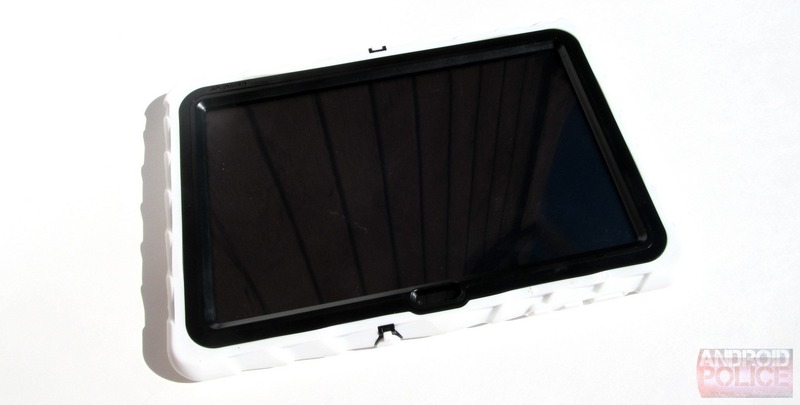 However, if you don't plan on leaving the tablet in the case nearly all the time, you'll probably grow tired of the tedious task of removing/reapplying the case often. From an aesthetic standpoint, I absolutely love the way this case looks. It may add some bulk to my Tab 10.1, but the textured back, contrasting colors, and perfectly cut port openings make this case very appealing to the eye. Since the back is not only textured, but also rubber, it's extremely grippy; I can't see this slipping out of my hands very often at all. Of course, it's a protective beast, so if I do happen to drop it, I have faith that my Tab would remain in one piece. 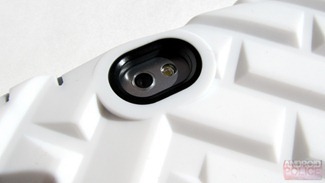 The case itself consists of two removable pieces: the rubbery back and a harder inner frame, which includes the screen protector. The Tab snaps into the frame, which has small grooves cut out all around the front, and then the frame slides into the rubber backing. 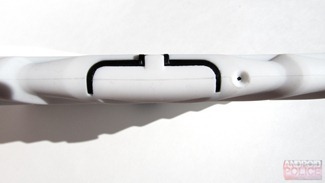 The back wraps around all sides and has small tabs that fit into the grooves cut around the front of the frame. Inserting/removing all of those tabs is the most tedious thing about this case, but once they're all in place, they don't really move unless you actually pry and tug on them. The built-in screen protector is actually pretty nice, but it does dull the screen just a bit. It's definitely not a deal breaker, as its inclusion is actually perfect to me; it keeps my Tab's display protected without having to go through the cumbersome process of using a stick-on screen protector. As I mentioned earlier, there is access to all of the ports, all of which are cut with precision. The headphone jack and charging port also have small, tabbed covers to protect each one, while the power and volume buttons are both covered completely; despite this, they are both still very easy to press. While basically the entire tablet is protected, the rear camera is without any sort of protection. It makes sense why the case is designed this way -- if you put a film of any type over the camera, it will hinder the use of the camera. Given that, I don't really see this as a negative, per se, but I thought it was worth a mention. Lightweight and simple-- it adds very little bulk to the Tab. Protects the device from scratches. 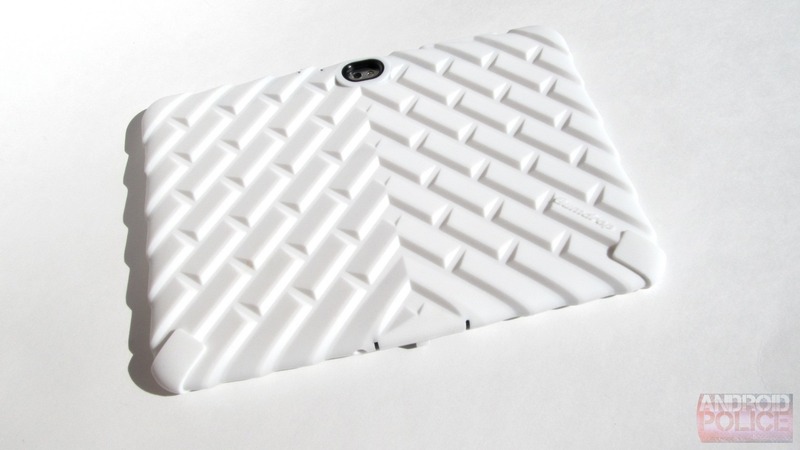 Cutouts for power/volume, rear camera, charging port, and speakers. Not very sturdy in "viewing" mode -- it toppled over nearly every time I touched my Tab. No screen protection of any kind. Too expensive for what it offers. In the Box: Folio Case. Should there be more? The Bottom Line: If you're looking for an overpriced, flimsy case to keep your tablet in, then by all means, buy this one. If not, look elsewhere. This case could not be more of an opposite to the Gumdrop case -- it's lightweight, flimsy, and offers nothing more than scratch protection for the backside of the tablet. Aesthetically, it looks cheaply made, and once in-hand, that is realized. The back is incredibly flimsy and the cutouts along the top are very poorly done -- in fact, I thought I was going to rip the sides of the screen cutout more than once just while putting the Tab in the case. Once the Tab is in the case, it looks a little bit better -- but not by much, and only when closed. Once you open it, the poor construction is once again revealed. If you plan on using this for a stand during a presentation (or even to watch a movie) -- think again. In "viewing" mode, it could barely stand a slight tap on the screen, just the slightest bump and it topples over (when you can get it stand in the first place, that is). Needless to say, it is not sturdy. At all. "Typing" mode works as advertised -- but let's face it, who actually uses a tablet in typing mode? I can see how this could be how this mode would useful in a few situations, but, for the most part, not so much. As far as protection is concerned, it will keep your device from getting scratched up, and nothing more. I feel like the aftereffects of dropping the Tab while in this case would be very similar to dropping it naked --nothing good would come of it. Do I recommend either of these cases (as if the answer isn't already clear)? 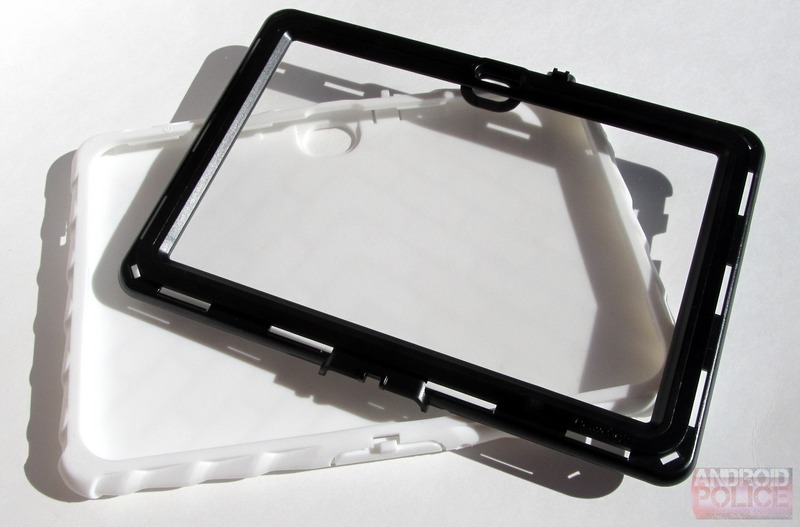 If you're looking for a sturdy cause to protect your Tab from nearly everything you can throw at it (excluding water), then I highly recommend the Gumdrop DropTech case. It does what it was intended to do, and is very reasonably priced. 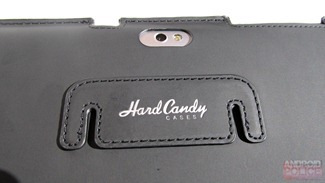 On the other hand, if you want a folio case, I cannot recommend the Hard Candy Convertible Case. The only thing I recommend is that you run the other way from this case. It's flimsy, overpriced, and poorly constructed. There are much better options out there -- many of them half the price of this one.